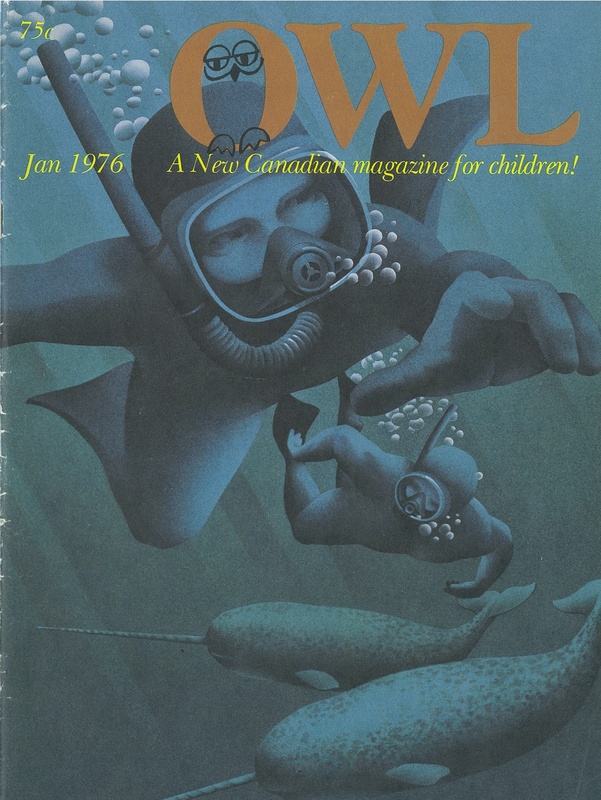 OWL magazine was founded by Young Naturalist Foundation members Annabel Slaight and Mary-Anne Brinkmann in 1976. It began as a blend of nature and science features — OWL was an acronym for “Outdoors and Wildlife” — and was designed to make children ages 8–12 “think beyond the printed page.” Distinctly Canadian, the magazine was designed to develop a love of the environment and scientific discovery in its readers. Mighty Mites – Owl’s first comic strip. The first issue also introduced the inaugural articles of what would soon become beloved sections of the magazine. 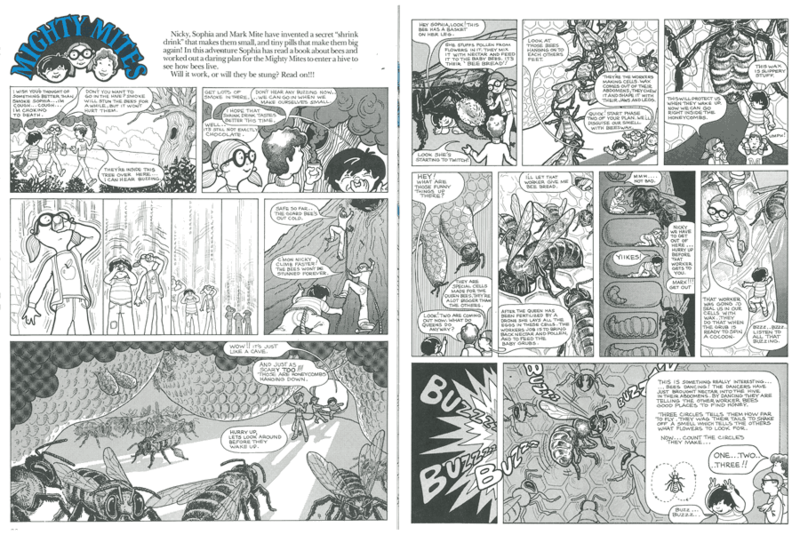 The comic book adventures of the shrink-at-will “Mighty Mites,” written and illustrated by Emily Hearn and Mark Thurman; “Hoot,” a newspaper-style broadsheet of nature news and “Ask Owl” questions; and a full-colour poster of a featured animal in the centrefold. Hoot: Nature news for kids. Once the magazine began regular circulation in autumn of the same year, OWL introduced another regular character to its pages: the zany science professor Dr. Zed. Created by co-founder Annabel Slaight, the “Mad Brilliant Scientist” led readers through do-it-yourself experiments, explaining the scientific principles along the way. Though Dr. Zed appeared in the magazine as illustrations, drawn first by Linda Bucholtz-Ross and then Tina Holdcroft, Slaight soon looked for someone to play the character in real life. She found the scientist’s doppelganger in Toronto science teacher Gordon Penrose, who, in addition to playing the character at school appearances, wrote books of experiments under the magazine’s book division, Owl Books. In 1985, he would play the role for a much larger audience than a classroom: the viewers of OWL/TV, a children’s television program that aired on CBC and CTV in Canada and PBS in the United States. Just under two years after the release of its first issue, OWL expanded into the world of books. Owl Books established themselves as an information-based nonfiction publisher. Owned by Michael de Pencier’s Key Publishers and directed by OWL editor Annabel Slaight, Owl Books titles, like The Winter Fun Book and OWL’s Amazing But True, repurposed and expanded content found in the magazines. In the 1980s, Owl Books began to publish full-colour, illustrated natural history books like Jan Thornhill’s The Wildlife ABC, which is still in print to this day. By 1978, OWL was being published in French Canada as Hibou and licensed to Italy as L’Orsa (“Bear”). In 1979, the Young Naturalist Foundation added another English publication to its roster — chickaDEE, a magazine geared towards 6- to 9-year olds. Following in the footsteps of OWL, founding editor Janis Nostbakken created a mix of puzzles, activities, and nature features. chickaDEE also included original characters, suited for younger readers, such as Daisy, the transforming heroine of the “Daisy Dreamer” comics. 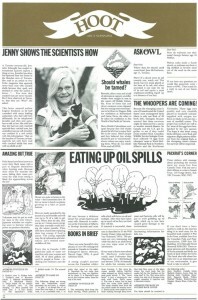 The mid-1980s heralded a genuine expression of OWL’s mandate: the half-hour program OWL/TV was, quite literally, “beyond the printed page.” Premiering simultaneously on CBC in Canada and PBS in the United States on November 10, 1985, OWL/TV encouraged viewers to “fool around with science.” With segments based on the magazine’s regular features, such as Gordon Penrose’s Dr. Zed, the Mighty Mites, and new onscreen regulars like a talking skeleton named Bonapart, executive producer Annabel Slaight wanted the program to “show kids that they can get involved in shaping their world.” The show ran just shy of ten years and continued in syndication on Canada’s YTV for several years afterwards. 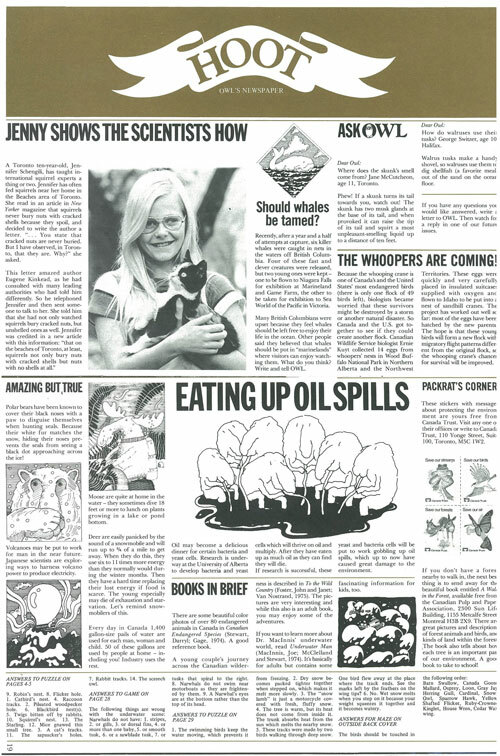 Despite legions of young fans, without any advertising revenues the magazine was dependent on donations to the Young Naturalist Foundation and eventually came upon financial troubles in the late 1990s. Bayard Presse Canada, a Montreal-based children’s publisher, offered to step in and buy Owl Communications from the Foundation. The Owl Family, now called Owlkids, became a part of Bayard Canada in 1997. Chirp launched in 1997 as an early-reading complement to the older publications. 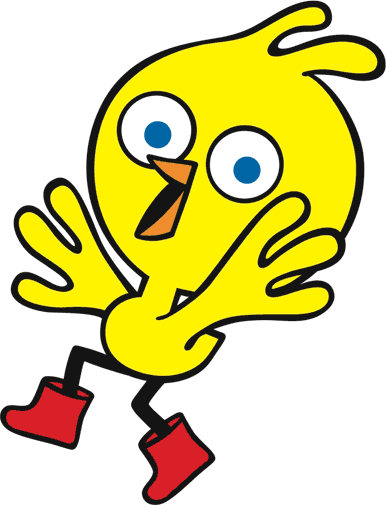 Intended for children between the ages of 3 and 6, Chirp’s title character was created by animator Bob Kain as a playful, curious yellow bird with red boots, and is featured throughout the magazine’s pages. Created in a square format designed to mimic the feel of a storybook, Chirp is the perfect size for tiny hands. 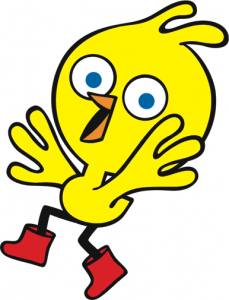 Chirp won a Best New Magazine of the Year Award and quickly found fans in the younger brothers and sisters of OWL and chickaDEE readers before becoming famous in its own right. 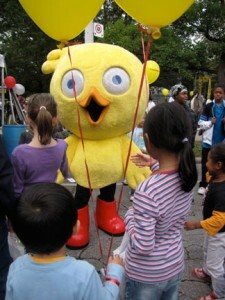 Chirp mascot at Word on the Street. With the addition of Chirp, the other magazines were revamped to include topics of interest to children other than nature and science, though nature and science still play a strong part in the magazine. The new general-interest-with-a-conscience mandate parlayed the magazines into renewed successes at the turn of the millennium. Characters like Chick and Dee were introduced to the pages of chickaDEE in the magazine’s 20th anniversary issue (September 1999) and now appear in each issue in a comic featuring the two birds and their friends. For OWL readers, the mystery serial Max Finder by Liam O’Donnell launched monthly comic book–style whodunits, with answers in the back of each issue. Max Finder has spurred a successful book series, currently releasing its seventh title. By the early 2000s, Owl Books, Owlkids’ former publishing arm, had since been renamed Maple Tree Press and was releasing titles as a separate entity. Company publisher Jennifer Canham sought to bring the company back to books. In 2004, Owlkids published Eat it Up!, a chickaDEE cookbook, and afterwards began publishing a small list of between 8 and 12 titles a year. In 2008, Owlkids’ parent company Bayard Canada purchased Maple Tree Press, reuniting the divisions. 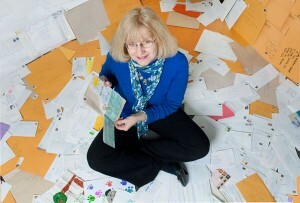 Maple Tree’s list of science, activity books, and Canadiana for kids complemented the content of the magazines, adding award-winning series like Frieda Wishinsky’s Canadian Flyer series and Mary Intven Wallace’s celebrated Inuksuk books to its backlist. Owlkids Books has expanded, in both number and scope, on the Maple Tree identity. Releasing around twenty new titles a year, timely children’s nonfiction has been coupled with brilliantly illustrated stories. Re-releases of beloved bestsellers — like Catherine Ripley’s Why? — are published alongside new classics like Dave Whamond’s Oddrey and Elin Kelsey’s You Are Stardust. In 2011, OWL celebrated its 35th anniversary. Part of the commemoration included releasing a “retro T-shirt” featuring the OWL logo that graced the first issues of the magazine, resembling the shirts worn by Hoot Club members on OWL/TV. Past and present is familiar to Owlkids. The company’s history is a friendly ghost in the company’s Toronto offices; nearly all of the thirty or so Owlkids employees were once OWL readers, too. Far from living in the past, however, Owlkids firmly believes and participates in the future of publishing, producing cutting-edge, educational, and fun material for children, whether it be on a page or screen. Owlkids Books released its first iPad app based on the book You Are Stardust, in the winter of 2012. Author Elin Kelsey reads the book in-app, and illustrator Soyeon Kim guides readers through her extravagantly detailed dioramas. It has received glowing reviews from fans but also critical acclaim — Kirkus named the Stardust app one of the Best of 2012. The app is the first of many inroads Owlkids intends to make in new technologies: not creating apps or ebooks for their own sake but rather finding the best venues for already excellent kid-first content. Owlkids has extended its global reach, publishing its books in over fifteen languages worldwide and strengthening its magazine presence in the United States. Chirp has travelled as far as China — a publisher has licensed the magazine and publishes it monthly under the moniker “Baby Box.” The wide breadth of Owlkids’ publication has not robbed it of its Canadian identity but rather speaks to the universality of activity-based learning and interesting, age-appropriate reading, nurturing a conscience for and love of the world in young minds across the globe. 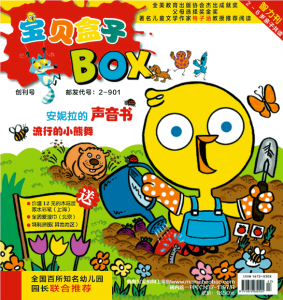 Chirp gains a new readership in China. And Owlkids goes back to television with the release of The Chirp Show on CBC in Spring 2014. Nearly forty years later, the company still responds to every letter sent, and Owlkids books and magazines still unquestionably belong to the children who read them. Owlkids love getting your letters by email too!